You’ve done your research. You understand the requirements of the position, the culture of the company, and what knowledge and personal skills are needed to be successful in this role. You’re a company expert. Perfect! In an interview setting, this knowledge allows you to illustrate that you not only understand and recognize the company’s needs, but that you are capable of addressing them. You’ll show your interviewer that you are the best person for the task. However, to demonstrate that you are the most capable technologist for this position, you need to answer your interview questions carefully. Today’s blog post lists five of the most crucial interview questions, and gives you advice on how to respond to them. If you do this the right way, you’ll have a new technical role in no time! 1) What’s Your Biggest Weakness? How NOT to Answer: Don’t say that you are too much of a perfectionist or that you are always early. They are canned and unbelievable responses. How to Answer: There are two ways to answer this question. 1. Give an honest weakness referencing a skill set that is NOT essential to being successful at this role. For example, being great at public speaking isn’t required for a Java Developer who is sitting in a back room. In this case, explaining that you struggle with public speaking, but that you are working on overcoming this shortcoming, is a great response. Make sure that you can give an example of how you are working to overcome your weakness; this is an essential part of your answer. 2) What is your greatest accomplishment? At your last job, what was your greatest accomplishment? How NOT to Answer: Don’t give a joking answer about being able to drink a gallon of milk in one minute. While impressive, it doesn’t match up with what you’re looking to accomplish in this new position. An ‘incorrect’ response to this question is listing an accomplishment that has nothing to do with the task at hand. How to Answer: Think this one through carefully, because it’s your time to shine! Make sure that the accomplishment, and what it stands for, relates back to the position for which you’re interviewing. 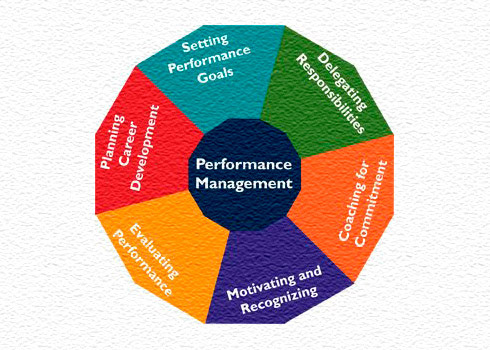 Were you able to increase performance by 50%? Does that relate back to this role? If so, talk about it! Supports thyroid function and hormone synthesis. Drug-free formula. Promotes healthy metabolism and weight management. Supports thyroid hormone levels with essential nutrients. Natural formula with iodine, selenium, tyrosine, and ashwagandha extract. Take just 1 capsule daily. 100% money-back guarantee. What is the interview process for a technical consultant at Goldman Sachs. Is telephone interview technical.? I will be having a telephone interview for a consultant position in New York. Any consultants at Goldman who would like to share their experience. Like how long is the telephone interview. Since I'm experienced will they ask puzzles or coding questions over the phone. Phone interviews are most often behavioral based. It would be best to brush up on past work experiences so when asked about a previous time you demonstrated leadership, you will quickly be able to retrieve the information. Interviewers cannot judge from your posture, eye contact, and attire, but will focus on your presentation via tone and voice. Do not let your guard down, as most candidates feel more relaxed, they might slip a joke or information that will only cost them negative points. i-maritime is India’s top maritime, port and shipbuilding consultant offering maritime, port and shipping consulting services including research-based consulting services to the maritime industries.